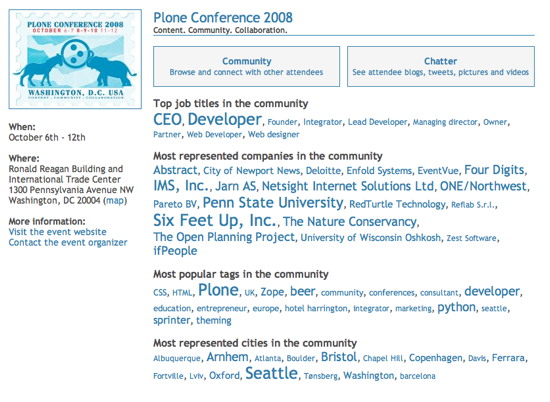 Plone conference 2008: Seattle will be most represented city? The gauntlet is thrown down 😉 I know of at least 3 other Bristol attendees who have yet to update their profiles, which will bring Bristol up to 8… any more lurking Seattlers? @Matt: 🙂 There are two other Seattleites that haven’t updated their profiles!